I've had some messages on how I edit my photos and which software or apps I use. For bloggers and even Youtubers it is so important to take a great photo (even though some of my photos are not the greatest, I have to admit). Having a good photo helps show off a product, makeup look, hair style and even holiday photos to you blog fans and looks much more professional. The apps and software are not the only thing that makes a good photo, the camera you use also makes a difference. Now days, there are HD laptops and computers as well as Youtube being shown in HD, so old cameras don't make the cut now days. But, you don't need to go out and by the latest camera and spend hundreds just to get great film and photos. I personally use my phone, which you can do, I do know some people that say you shouldn't as it's not the same as a camera. But, the recent phones on the market do take really good photos, I use the Samsung Galaxy S4, as long as the cameras not scratched or dented the photos come out really good, and in HD. For filming I use my video camera that I got as an engagement present, the Panasonic HC-V720 which is a HD camcorder, which can be used to take photos as well. But, I only really take photos which it while I'm filming as I can't use my phone and camcorder at the same time. But, The picture comes out the same and it is so much easier to film with a video camera then a camera, I think, especially if you are just starting out. On the Samsung Galaxy S4, there are several modes of the camera that you can use to pre-edit the photo as you take it. These are night mode, sports, panorama, eraser, rich tone (HDR), animated photo, drama, sound and shot, best face, best photo and beauty face. Night mode is as is, it takes brighter, clearer photos without using flash, Sports mode takes photos of fast moving objects, Panorama is just a mode to take full shots of the horizon, Eraser is a mode that can delete moving objects in the background of a photo, Rich tone (HDR) mode helps maximize the quality of your photo by the intensity and contrast of color and light, Animated photo mode contains moving animation in certain times in the photo, Drama mode takes multiple photo of movement and merges them into one photo, Sound and shot mode is where you take a photo and record sound with it, Best face mode is where it takes a photo several times and you can change the face of each person and the photo is then merged together to create the best photo, Best photo is just a series of shots and you select the one you want, finally Beauty face mode is where you can blur out imperfections and enhance features on your face, it even works with more than one face in the photo. As well as using the modes on the phone I have downloaded apps on to my phone to help edit photos once they have been taken. I use Lumie Lite (costs), Bokeh Maker Pro, Photo Mirror, Blend Pic, Color Touch and Lidow. 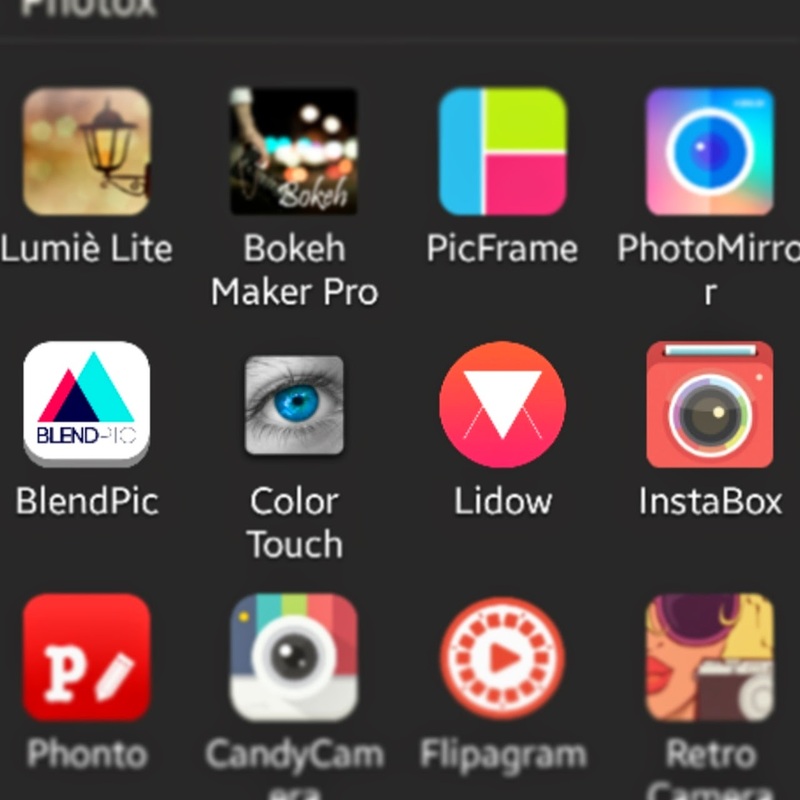 Lumie Lite is a great app to add a glaze to photos like hearts or lights over a photo, Bokeh Maker Pro is a free version of Lumie but, it isn't as good. Photo Mirror is the best app so far that I have found to create a mirror photo look. Bled Pic is an app that lets you blend two photos together, whether you blend your photo with another of your own or with the pictures they have saved to the app. Color Touch is an app that allows you to select color on a photo, such as the photo is black and white with a selected part being in color. Finally Lidow is a new app to my collection, it help edit the color, light and contrast as well as putting a frame/coating over the photo to make it look older or faded on the edges. These apps give any photo a more professional look and a fun way to look at just a plain photo. You can even use apps to make a collages and grids of photos, which are great for showing more things in one or making a thumb nail for Youtube. The apps I usually use are Pic Frame (costs), Photo Grid and Pic Collage. Pic Frame is a great app to use to put you photo into stylish grid frames and there are some really nice frames nears the bottom of the page. Photo Grid is a free version of Pic Frame but, it doesn't have the stylish frames on it. However, you can change the shape and dimensions of the grid and over all photo, great for making the right size thumb nail for Youtube. Pic Collage is just an app that makes collages, great for work and you can make as many as you want. It does upload them if you want and you can see other people collages, you can even access Google photos through this app to add them to your collage. Finally to add those extra little details to some of these photos you can use Phonto, which adds writing to you photo, great to say what it is and to use of photos for thumb nails on Youtube. If you only want to upload to Instagram you can even use an app called Insta Box, which will cut your photo down to fit Instagram even in fun shapes such as circles and hearts. These apps have helped me create nearly all my photos for my blog, and I hope they help you. You don't need to be an expert at using them its all about trial and error, and what works for you and your blog. What apps do you use? ?